AU $179,500	Ono Need Finance? Raby Bay Cleveland Brisbane QLD	Need Insurance? AU $179,500	Ono Need Finance? Need Insurance? Description: Jeanneau Sun Odyssey 39i Encumbrance Check? Fantastic all round yacht, weather your cruising, racing or just sailing away for the weekend. This is a 2007 spacious three cabin model with only 620 engine hours on a 40hp yanmar engine. The two metre cast iron keel makes all the difference when sailing holding course when the wind gets up a bit and giving great stability when anchored. There's a bow thuster making docking very easy when returning to the marina on a windy day. The engine has a full service history and was last serviced in August 2018, theres also a full yacht maintenance log available. The rigging was replaced in September 2018 also the antifoul was renewed along with all underwater skin fittings. The sails were serviced and cleaned in October 2018. 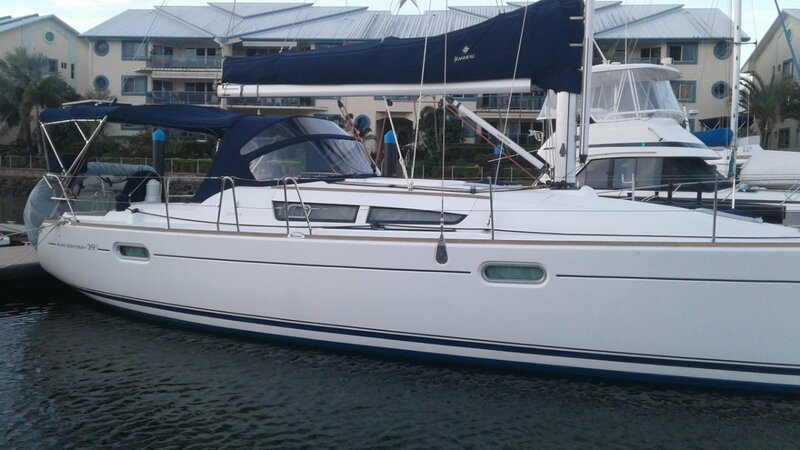 This yacht would suit someone looking for a very well maintained un marked great example of this very popular jeanneau 39i. TV / DVD player, Bluetooth radio /CD along with cockpit control and lounge and cockpit speakers.